This Thursday! 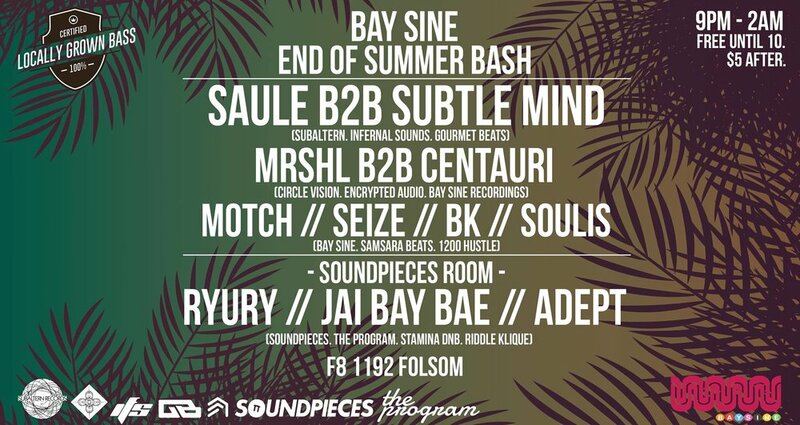 come out to F8 1192 Folsom to catch the last Bay Sine night of Summer! We've had a wild past few months and we're extremely excited to come together with our friends SOUNDPIECES and The Program to bring you a night of 100% local talent. We've lined up some of the absolute best in Bay Area Dubstep and Bass music for 5 hours of fat dubplates and 2 rooms of sound.